- Decrease the amount of oil needed for each cook preparation, reusable, practical and easy control. - Dishwasher safe and high-quality, durable. No more scraping debris off than metal ring. Fried eggs be quicker and easier. Happy Kids and Talent Cook. Little gadgets will give kids happier and let them love kitchen and increase the ability of DIY. 1. Be sure to use flat pan in order to make nice egg shape for your breakfast and more food. 2. Preheat the pan with little oil( like butter, coconut etc)spraying on it for 30-40 seconds. 3. Put your egg rings and preheat your rings for another 30-40 seconds for a better seal to the ring. 4. Put your egg mixture into the ring and cook egg under the over low to medium heat for several minutes in case egg burn and keeping the shape of egg. 5. After the egg has a stable shape then remove the mold and you could flip the egg into the other side. 6. Take out your nice egg from the pan, then you could enjoy it. Looking for ideal Silicone Egg Mold Manufacturer & supplier ? We have a wide selection at great prices to help you get creative. All the Egg Former Bear Mold are quality guaranteed. 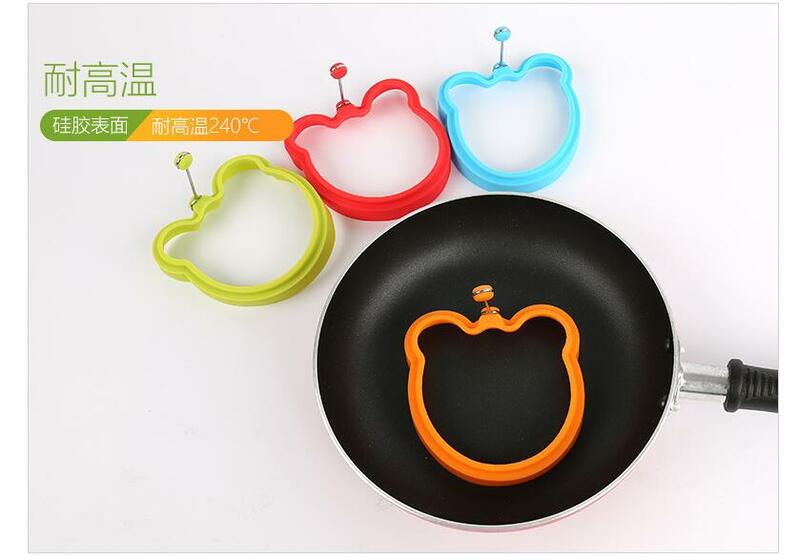 We are China Origin Factory of Non-stick Egg Mold. If you have any question, please feel free to contact us.